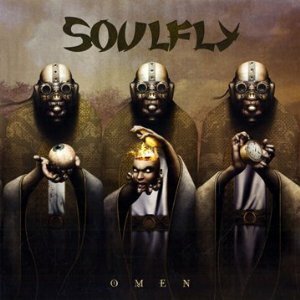 Hall of the Mountain King: Review: Soulfly, "Omen"
When Sepultura and Max Cavalera parted ways in 1996, fans were the ones who got the shaft. Instead of the thrash powerhouse we’d had up to that point, we got two mediocre acts that, while both having their moments, never came close to delivering anything with the power of Arise or Chaos A.D.
Over the course of his past several records with Soulfly, though, Cavalera has slowly started to change that. The nu-metal trappings of the early records (complete with large, trendy lists of guest performers) started to fall away on 2005’s Dark Ages and even moreso on 2008’s Conquer. The trend continues with the band’s latest Omen. 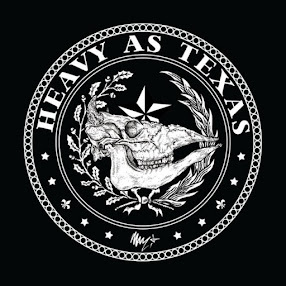 “Bloodbath & Beyond” gets the album kicked off with a short, raging thrash-punk riff under Cavalera’s trademark roars, but a twist about halfway through adds some depth to it as guitarist Marc Rizzo adds a soaring, melodic lead that’s a welcome break. It’s a trend that’s repeated throughout the record. Rizzo’s clean, tasteful guitar leads serve as an interesting counterpoint to the tribal brutality of the music, yet it all works together well. There are guests on the record, but they bring a little more metal cred than some of the past guests. Greg Puciato of Dillinger Escape Plan handles about half the vocal duties on first single “Rise of the Fallen.” I’ve never been a fan of DEP, but I enjoy Puciato’s work on this track, particularly in the slower portion toward the end of the song. The play between his reedier vocals and Cavalera’s grunts is interesting. The second guest is Prong’s Tommy Victor on the groove-laden “Lethal Injection,” which plays a bit like a cross between Pantera and Sepultura. Not every song here is a winner. “Jeffrey Dahmer” is the primary offender for me. I have reservations about songs that glorify serial killers to begin with, but particularly when the lyrics are as banal as these. Cavalera also falls back into his long-time habit of shouting the title over and over as a chorus that sometimes gets annoying on songs like “Vulture Culture” and “Counter-Sabotage,” which is a bit of a shame considering the latter has a great groove portion. The problems, however, are easy to overlook because of the upside of the record – a collection of solid thrashers that bring Cavalera a bit closer to his roots. “Great Depression,” for example, wouldn’t strike most people as out of place on Arise. The majestic guitar riff of “Kingdom” puts the spotlight back on Rizzo, as does the top-notch guitar work on the beginning of “Mega-Doom.” It shows that Rizzo deserves at least as much credit for the success of this record as Cavalera. As always, Cavalera and Co. also deliver up a more mellow world music piece, and here it’s “Soulfly VII,” which closes the record. The song has some Latin and reggae influence, in addition to influence from 1980s instrumental shredders like Joe Satriani and Steve Vai. It really becomes another showpiece for Rizzo, and while I usually prefer my album closers to be blistering numbers that leave the listener lying dazed in the dust trail of the truck that just hit them, I do really like this piece. As with most everything Rizzo does on the record, it’s very tasteful and appealing to the guitarist in me. Omen continues Max Cavalera’s return to what made me a fan of Sepultura, and while it’s still not quite there yet, it’s getting closer. Like Dark Ages and Conquer, Omen still has a few leftovers from the more commercial sound of Soulfly’s early days, but they’re fading and easily being overpowered by the tribal thrash that we know and love. It’s another win for Cavalera, and another win for fans.